Hudson Yards isn’t the only large-scale project celebrating milestones this spring. Honolulu’s ongoing megadevelopment has some new accolades of its own. 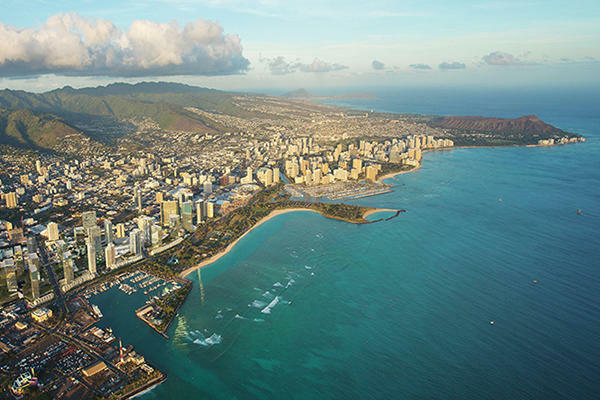 The 60-acre master plan for the area known as Ward Village was recently named the best in the country for 2019, according to Forbes. With 4,500 residential units in its pipeline and about 1 million square feet of commercial space, the sprawling project along the coast of Honolulu appears to be Hawaii’s answer to Hudson Yards. It’s also the largest Platinum LEED-certified neighborhood development in the U.S. Though Ward is larger in terms of area than New York City’s freshly-opened 28-acre Hudson Yards, developer Howard Hughes Corporation‘s megaproject is smaller in terms of built square footage.